Amir Khan could very well find himself frozen out completely in his dream to face either Floyd Mayweather Jr or Manny Pacquiao in 2015. The Mayweather-Pacquiao negotiations, which are rumored to be going smoothly, are said to likely have a rematch clause in the contract so that the loser of the fight can get an immediate rematch in 2015. This means that Khan’s chances of fighting one of the two huge stars are very, very poor. As it was, Khan didn’t have a good chance of fighting Mayweather in the second half of the year unless Mayweather was willing to move off the September fight date that he usually fights on. Khan has Ramadan and won’t be able to fight Mayweather late in 2015 unless he decides to move from his September date to accommodate Khan for a fight in November or December. The odds of Mayweather doing that for a fight against Khan are about zero. Mayweather might do it if it were a fighter with star power who could guarantee a lot of pay-per-view buys in the U.S, but Khan isn’t that kind of fighter. He’s just a European fighter that the casual boxing fans in the U.S don’t know much about. Last Sunday, Pacquiao said that he sees his fight with Mayweather ready to be announced “before the end of the month. 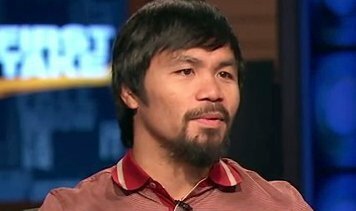 I think it will happen,” Pacquiao said. That’s good news for Mayweather, Pacquiao and boxing fans, but it’s not good news for Khan. For him it could be the final door closing to a Mayweather fight at least for 2015. That doesn’t mean that Khan might not get a shot against one of those two stars in 2016, but that’s a big maybe. Mayweather might not stick around for long in 2016, and it’s hard to imagine that his end game in the final year of his career would be against a guy like Khan. Mayweather would be better off looking to get fights against Pacquiao, Miguel Cotto or Saul “Canelo” Alvarez if he wanted to maximize the amount of money that he’s making in his final fights. Khan could get a fight against Pacquiao in 2016 or later, because Pacquiao is a little younger than Mayweather, and he ran out of opponents a long time ago to fight. Pacquiao’s promoter Bob Arum has been putting Pacquiao in rematches and matching him against his less popular Top Rank stable fighters in fights that haven’t been doing well. Arum might be open to the idea of putting someone new in with Pacquiao like Khan in 2015 unless Arum decides he wants to keep everything in house for the entire year.